The Temple of Heaven in Beijing, China, was built in 1420 and was the place where the Emperors of the Ming & Qing dynasties would worship Heaven and pray for bumper crops. 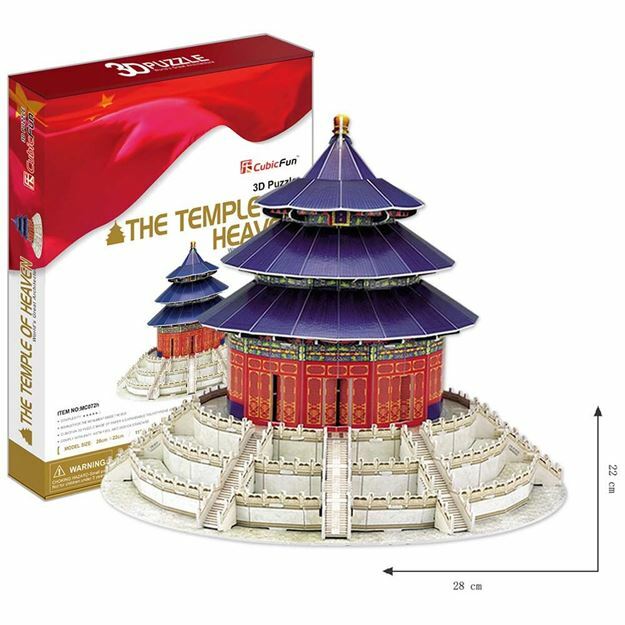 The Temple of Heaven is a precious example of China’s ancient architecture and the largest architectural group for worshipping Heaven in the world. In 1998, it was recognized by the UNESCO as a World Heritage Site. This 3D Puzzle is made of paper and expandable polystyrene foam board, it is easy to assemble without the use of any other tools or glue. No of Pieces: 111 Model Size: 28cm x 28cm x 22cm. Age: 8+ years.